A former talent agent tweeted out a tale that is truly funnier than fiction, right down to the twist ending. Twitter can be a pretty toxic corner on the internet (shocker), but every now and then a story goes big and actually leaves you feeling good inside. Yesterday, Quinn Cummings (@quinncy) tweeted a story thread about her time as a Hollywood talent agent, and it's touching, terrifying and hilarious. Cummings, who also acted in film and television in the '70s and '80s but makes her career as a writer now, begins as any writer would. The story that unfolded involves her boss, Susan Smith, a respected talent representative in the industry who passed away in 2013, and beloved actor Brian Dennehy. We'll leave it to her to tell the rest below, although it doesn't end with her initial thread. Even the twist ending has a twist ending that sounds right out of a TV script. It's a really long story, but definitely worth it. We've provided a condensed version of it below. If you want to see the full thread, go to Cummings Twitter profile here. A long time ago, I was a talent agent. I worked for a woman named Susan Smith, who had her own small boutique agency. She was known for three things: 1. She had fantastic taste in clients. If there is someone you admire, odds are good that at some point, she was their agent. 2. She could negotiate a deal like few who have ever trod the earth. Casting would give her all the money they had budgeted for that part, plus a little more, plus promising to get her dog Barnaby groomed. She was magnificent to watch. 3. She was insane. Susan was ecstatic. But the real joy came when Brian won the Tony for his performance. I watched it at home and I was 99% thrilled for Brian and 1% thrilled for us at the office. Susan had a tendency to walk in the door screaming instructions and grievances. I was now an agent, not her assistant, but Susan didn't hold with such distinctions. We all got screamed at, we all became miserable, we all started whatever self-soothing behaviour allowed us to not cry in the hallway. At the very least, Brian's win would delight her. At lunch, her assistant "Chet" slid into my office. He had the look of a man who had been screamed at for five hours. He asked a favour. Brian had called him; he was aghast he had forgotten to thank Susan, the woman who had made his dream come true. He thought he had a solution. We got it, Chet slid it out [of its frame on Smith's desk], overnighted it to Brian, we crossed our fingers she wouldn't notice the picture was gone for a day. Even if she did, the ad was to appear the following day; after such a loving gesture, who could be angry with us? If that wasn't enough, Dennehy's daughter also replied on Twitter, corroborating the story, but also adding how much her father loved his agent. Quinn, you might not remember me but we met at the office. Susan repped me for a little while until I also 'had to move my car'. 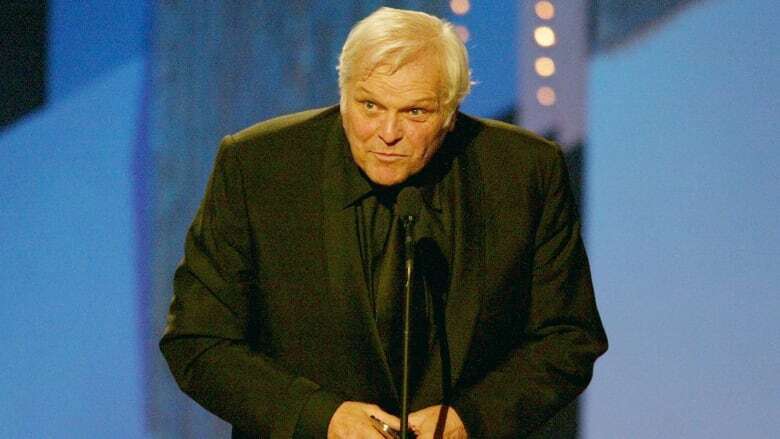 But as Brian Dennehy's daughter, I can tell you this. You describe Susan perfectly and my dad misses her every single hour of every single day. Thx. And if you thought that was it, there's even another twist to the ending that Cummings left out of her original thread. Sometimes the truth is funnier than fiction.